Ditch the low-fat chips and pretzels in favor of snacks that contain a combination of whole or minimally processed foods. If late afternoon hunger pangs leave you longing for a snack, there's no reason to deny yourself. Just be sure to choose foods that fit into a heart-healthy eating pattern. 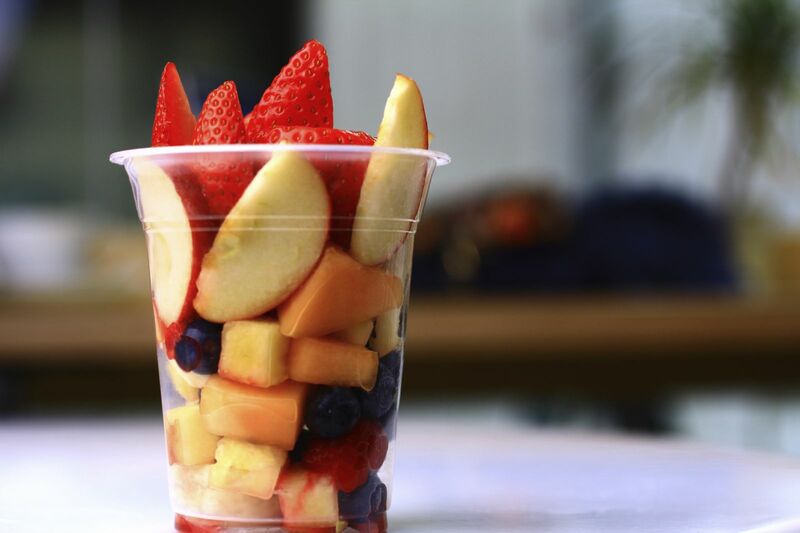 "Snacks help bridge the gap between meals," says Liz Moore, a dietitian at Harvard-affiliated Beth Israel Deaconess Medical Center. A small snack in the afternoon curbs your appetite so you're not completely starving when you sit down to dinner, she explains. That can help you control your portion sizes and avoid overeating—a common cause of weight gain. "If you eat lunch at noon and are planning to meet a friend for dinner at 7 or 8 p.m., have a snack between 4 and 5 p.m.," she suggests. *Edamame are soybeans that are harvested while they are still green. Look in the freezer section for unsalted, precooked edamame, either as whole pods or shelled. Once thawed, squeeze the pod to release the beans, which you can eat as a snack or add to salads or other recipes. Most health-conscious people steer clear of junk food like salty, greasy chips. But they might not realize that low-fat, low-salt potato chips or pretzels aren't really a great substitute. "Those types of snacks usually don't satisfy your hunger because they contain just simple carbohydrates," says Moore. Low-fiber, easily digested carbs found in refined grains tend to raise your blood sugar, which can leave you hungry again in a few hours. The most healthful snacks contain a combination of healthy proteins, carbs, and fats. Think whole-grain crackers with low-fat cheese or peanut butter (see "Healthy snack suggestions" for more ideas). A small serving of leftovers—like stir-fried vegetables, tuna salad, or soup—also makes a good snack, says Moore. If you have a sweet tooth, savor your favorite treat in moderation—like a small square of dark chocolate. If you love ice cream, have a kid-size cone once in a while as a treat. 2. 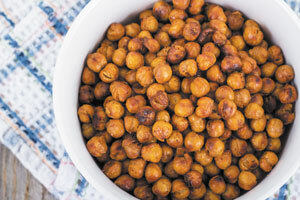 Drain the chickpeas in a colander or strainer and rinse under running water. 3. Spread the chickpeas on a large baking sheet. 4. Drizzle with about one tablespoon of olive oil and stir to coat evenly. 5. Sprinkle with your choice of spices. 6. Roast for 15 to 30 minutes, to desired crispness. 7. Store at room temperature in a resealable bag or container.